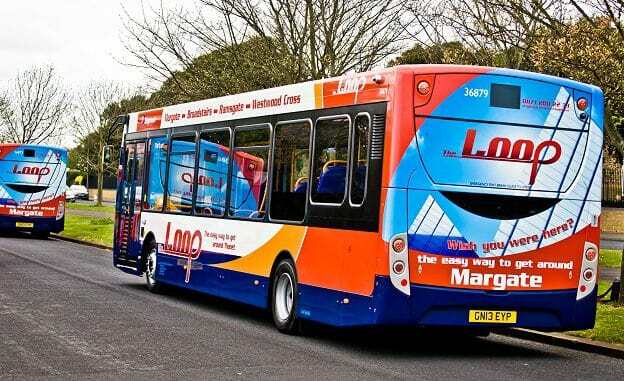 Bus operator Stagecoach has announced that its ‘eveningrider’ ticket will be valid from 6pm instead of the current 7pm, for the rest of the year. The change will come into effect from Friday ( November 16). The eveningrider ticket, which costs £3 on the bus firm’s Smartphone app, is valid for unlimited travel on all Stagecoach buses in the south east. The bus company says the new start time of 6pm will encourage more people to use the bus this Christmas, avoiding the hassle of arranging lifts or paying out expensive taxi fares. The eveningrider is valid through to the last bus home (or 4am the next day). They add an extra out because they are always late, we are all in hope that one day we’ll get a bus that is on time! It’s a pity that most bus routes in Thanet don’t have any evening services!